At HNP, the details are in our designers. Tommy is a professional landscape architect, influential member of the American Society of Landscape Architects (ASLA) and one of HNP’s founding principals. Possessing over 45 years of experience, he has backgrounds in landscape planning and design, master planning, and site/recreation planning and design, as well as institutional and urban design. Tommy holds active registrations in Alabama, Georgia and Mississippi, and has served the role of lead project landscape architect on numerous occasions, essentially making him responsible for all phases of project implementation. Extensive experience within landscape architecture has given Tommy a distinct feel for scale and detail on multiple levels, in addition to an esoteric understanding of construction processes and varied uses of building materials. Tommy is a graduate of the University of Georgia, holding a Bachelor of Landscape Architecture (BLA) from the College of Environment + Design. The city of Athens, GA, holds a special place in his heart, as this is where he met his bride of 44 years, Dana, who is also a graduate of the University of Georgia with a degree in interior design. Tommy likes to keep moving and stays busy on and off the clock. He enjoys gardening, light construction projects around the house and spending time with his grandchildren. Ed is a professional landscape architect and also functions as a principal of HNP, with over 33 years of experience in athletic facility design, landscape design, site planning, and detailed site development. He hails from the great state of Louisiana, holds a Bachelor of Landscape Architecture from Louisiana State University, and maintains active registrations in Louisiana and Alabama. Ed has been both team member and team leader on numerous multidisciplinary design teams (comprised of landscape architects, architects and engineers), responsible for the design, contract document preparation and contract administration of a wide range of projects, both public and private. Ed’s interest in athletic turf/sports facility design has led him to an active role in various related associations, where he has served as a speaker to forums on the local, state and national levels. Ed’s passion for sports and design has propelled him to finding a niche in athletic facility design. His skill set(s) and experience is displayed throughout a versatile portfolio that consists of successfully completed designs for NCAA Division I facilities across seven different conferences. Whenever he has a spare minute, Ed loves to engage in woodworking and has logged countless hours improving his home. 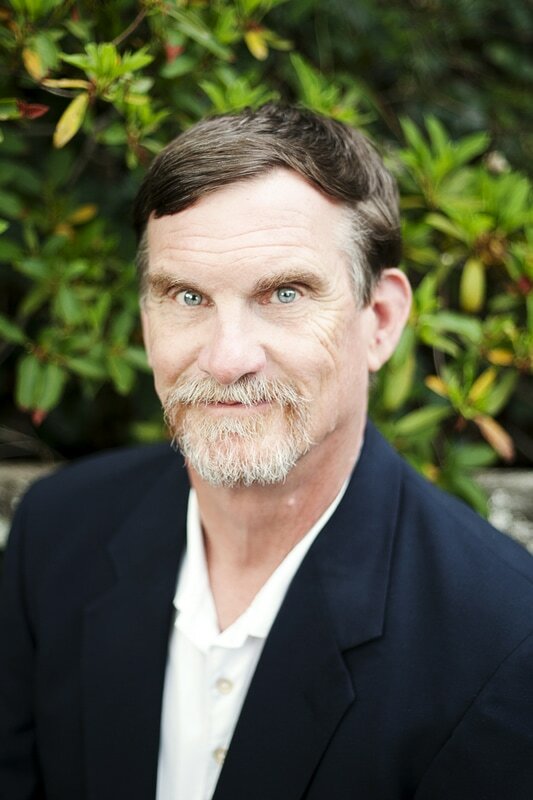 Chris is a professional landscape architect in the state of Alabama, accredited with over 29 years of experience within the career field. He holds a bachelor's degree in landscape architecture from Auburn University, and has worked on projects ranging from small-scale design to large-scale land planning for residential, office, commercial and institutional developments. Lately, his primary focus has been in designing detailed hardscape-pedestrian spaces, such as amenity areas, plazas, courtyards and pedestrian corridors. Prior to joining HNP in 2003, Chris obtained valuable design experience through employment with other landscape architectural/land planning firms, in addition to a large multidisciplinary firm comprised of engineers, planners and landscape architects. He thoroughly enjoys gardening and landscape maintenance, as well as taking walks and hiking. Cindy has been at HNP for over ten years and continues to offer unique artistic perspectives through an acquired sense of space. A proud Mississippi native, she is an alumnus of Mississippi State University, where she earned a Bachelor of Landscape Architecture. Cindy has ample experience with multiple project types at varying scales, and possesses a background in residential and commercial landscape design, with formidable experience in athletic facility design and irrigation design. Well-versed with the MacOS and Vectorworks design software, Cindy believes it's the little things - the details, that connect the design process and that can ultimately be a distinguishing factor in making a good design an even better one. Cindy fills a reputable role at HNP, acting as the adhesive that pulls the details and plans together to form thorough and complete landscape designs. She strongly believes that time is the most important thing we have in our lives, and values spending it with her family and friends. Cindy also enjoys taking day trips to parts of Alabama that she has nev​er seen before, and receives constant fulfillment of observing design through nature to any new place she travels to next. Jason is a professional landscape architect with over 18 years of experience in the profession. He earned an associate’s degree in liberal arts from the State University of New York (Alfred, NY), a bachelor’s degree in landscape architecture from the State University of New York (Syracuse, NY), and a master’s degree in graphic design and computer graphic design from the Rochester Institute of Technology (Rochester, NY). Jason brings a diverse design background to the table, with versatile experience in garden design, residential and commercial design, master planning, urban design, highway and streetscape design, parks & recreation design, and waterfront planning and design. His specialized schooling in graphic design has enabled him to enhance his landscape architecture productions and expand his design skill set, allowing him to be actively involved with marketing efforts throughout widespread public and civic engagement. Jason enjoys raising his son Will alongside his wife Stephanie, and also loves hiking, fishing and traveling. A native of New York, he is a loyal sports fan and stays true to keeping up with his beloved Syracuse Orange, New York Yankees and Buffalo Bills. Leigh has been the office manager at Holcombe Norton Partners for nine years now, and brings over 20 years of managerial and administrative experience to the team. Since joining HNP in 2008, she has maintained accounts payable, accounts receivable and monthly billing for the firm. Notably, she is also a notary, which makes her an even more valuable asset and member of the HNP family. In her spare time, Leigh practices being a silk artist, specializing in making custom prophetic banners and flags. She utilizes serti and watercolor techniques on silk habotai, and practices with a variety of free-flowing dyes. Leigh is also active in her local church as a youth leader and member of her congregation’s children leadership team.